← Is Culture Change Possible When Staff Keeps Leaving? Eden Alternative and Kind Dining work hand-in-hand at award winning assisted nursing center in Jackson, Wyoming. 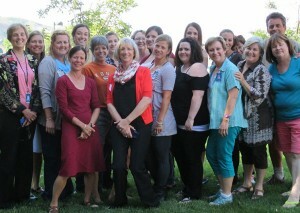 In July, I traveled to Jackson, Wyoming to teach Kind Dining® at St. John’s Living Center. I was awestruck by the beauty of the Tetons while en route to this unique, Eden Alternative registered center, and thrilled to meet the warm, dedicated staff who works there. The people who work at St. John’s truly understand the importance of high standards and culture change. 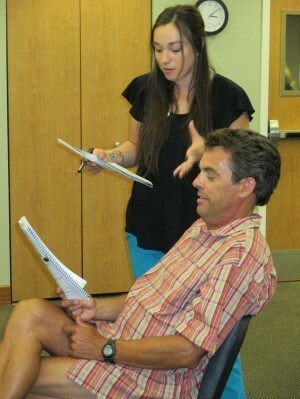 St. John’s staff members role play during Kind Dining training. Cindy’s Kind Dining® customer service and hospitality program was not just educational, it was fun, very interactive, and kept our staff engaged. Our initial class was filled with leaders from several departments who, through a course interactive sessions, began to openly discuss and uncover current service gaps we face. Now we have committed to closing those gaps as team players rallying around the dining environment. As the first Eden registered center in Wyoming, St. John’s is demonstrating how Eden Alternative and Kind Dining® complement each other to create a vibrant, hospitable, person-centered culture. Please join me in sending hearty welcome to new Kind Dining® Instructor, Sarah, and the whole team at St. Johns, by leaving a note in the comments!